Maid Brigade is your premier residential cleaning service in the South Bay of Los Angeles, CA area and is locally run by owners Dennis and Caralyn Dwyer. Our customer-oriented approach is what earned us a reputation as the preferred residential cleaning service of your neighbors and friends since 2009. We’re also very excited to be the only Maid Service providing true disinfection with our PURE Cleaning system. Call us at (310) 803-9413, request an Instant Quote, or talk with the team of professional maids when you see our cars in your neighborhood. You Deserve a Cleaning Service That Stands Out From the Rest! Maid Brigade pioneered the cleaning industry by being the first to use Green Clean Certified™ products, and now we’re the first to take it one step further by cleaning with Electrolyzed water! 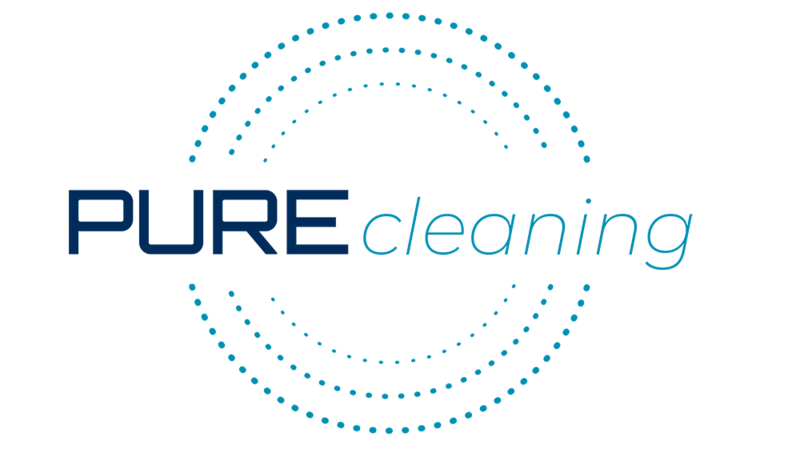 PURE Cleaning is our comprehensive house cleaning system that utilizes an Electrolyzed water solution rather than “Green” or toxic chemicals, color-coded cleaning cloths to eliminate cross-contamination between different rooms in your home, and our use of revolutionary electrostatic technology that allows for 360-degree disinfection of all surfaces in the home. This is the healthiest and most efficient way of having your home cleaned which creates a PURE environment for you, your home, and our employees. We are the only maid service in the nation using an electrolyzed water solution that cuts grease and lifts residue. This provides a more effective and healthier cleaning than any traditional cleaning product could provide and is also far superior to the Green Clean Certified products we’re known for using. Find out more. We truly disinfect during every cleaning with our PUREmist Spray System that kills germs, odors, and mold/mildew on contact. Find out more. We bring all cleaning solutions and equipment including a HEPA-filtration vacuum. Each housekeeper is fully insured with comprehensive Worker’s Compensation coverage, bonded, nationally background checked, trained, and professionally uniformed – the safety of you and your home is vital to us! We value the importance of quality customer service with live and prompt communication. We have an effective quality tracking process to ensure customer satisfaction after every clean. We are family owned and operated since early 2009 – we treat every client like you’re our one and only! We take great pride in serving your community by being a reliable and trusted company ensuring you are protected by our robust insurance, and by providing the healthiest, most effective cleaning on the market. We also value our employees by committing to compensating above basic wages and promoting a happy team environment for all. We properly ensure each employee to make sure you have complete protection in the event of an injury in your home as well. This sets us apart from competitors, especially those that put independent contractors in your home! There’s nothing better than a freshly cleaned home by Maid Brigade and the peace of mind that goes with it! We’re proud to share that our team has earned multiple awards including Maid Brigade’s prestigious Franchise of the Year, and we’re very grateful to our customers and employees for making this possible. It’s our daily goal to provide the best service, highest-quality cleanings, and healthiest environment for families. Visit our testimonials page. When you're done reviewing their comments, give us a call to learn first-hand why Our People Shine! It’s About the Customer. Every Time. Bel Air, Beverly Glen, Beverly Hills, Brentwood Heights, Brentwood Park, Century City, Crescent, Culver City, El Segundo, Harbor City, Hawthorne, Hermosa Beach, Hollywood Hills, Ladera Heights, Lawndale, Lomita, Los Angeles, Manhattan Beach, Marina del Rey, Ocean Park, Palms, Playa del Rey, Playa Vista, Rancho Palos Verdes, Redondo Beach, Rolling Hills, San Pedro, Santa Monica, Torrance, Venice, Westchester, West Hollywood, West Los Angeles, Westwood, and Westwood Village. Don’t see your city? Call us, and we can confirm if your home is in our service area! Whether you’re driving across the Vincent Thomas Bridge in the port of Los Angeles, along the 405 freeway to The Getty, or simply up Pacific Coast Highway to the beach, keep an eye out for our brightly and colorfully branded vehicles. We have happy, loyal customers all over Los Angeles, so you’ll see our maids driving company cars from one valued customer to the next. For a healthier, cleaner home today from a premier cleaning company, call us at (310) 803-9413 to learn more and schedule an appointment that fits your schedule!